Over 290 world renowned skin care experts will offer their key insights on the most crucial skin care during 272 scientific sessions at the Dubai World Dermatology and Laser Conference and Exhibition – Dubai Derma that opened today (March 18). 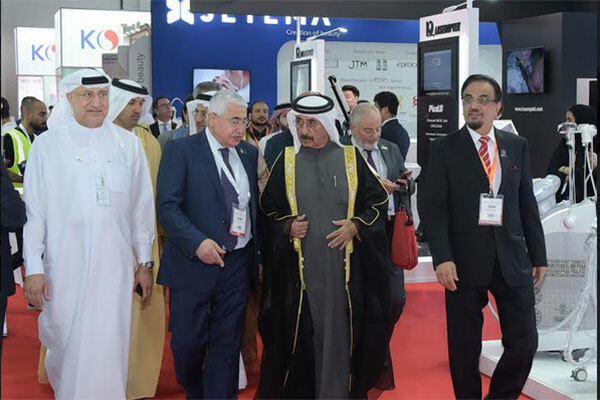 The 19th edition of the largest scientific skincare gathering in Mena and the Indian Subcontinent was inaugurated by Sheikh Hasher bin Maktoum Al Maktoum, Director General of Dubai Department at the Dubai International Convention and Exhibition Center to run until March 20. The conference includes 79 hands-on workshops to enhance the clinical expertise of dermatology professionals and specialists while 77 poster display presentations and 112 case studies are designed to encourage students and professionals to pursue research in dermatology. Dr Abdul Salam Al Madani, executive chairman, Dubai Derma, said: “In its current edition, Dubai Derma Conference and Exhibition brings together top skincare specialists, leading dermatology experts, surgeons and industry leaders to exchange knowledge on the latest advances in treating various types of skin diseases and disorders. Running parallel to the conference, the Dubai Derma exhibition featured the presence of leading skincare brands, technology firms and companies from the region and the world, offering visitors and participants a great opportunity to learn about the latest advances in skin treatment while also giving exhibitors a chance to engage and network with top notch experts in skin health.